Okay I know it’s a stretch but I am always thinking of ways I can take care of myself when stores are no longer an option to buy my grooming products - you know, like if it ever came to an "end-of-the-world-as-we-know-it" situation? And like with so many other things, I began to look into the benefits of bananas to see if they could indeed be my conditioner of the future. I found that bananas are loaded with vitamins A, B, C and E and potassium, and contain tryptophan (a rich amino acid) and potassium. They are also rich in natural oils and carbohydrates. Good news so far! All of these vitamins and minerals are supposed to bring out the natural elasticity of the hair, add super softening properties to the hair shaft and prevents split ends. And who wouldn't want that right?! Bananas are also supposed to make dry, brittle sun-damaged or hair-colored, and hair that has been exposed to heat from the blow dryers and flat irons (me), soft and strong and improve manageability and shine. Another check mark! So far looks like a winner! But the true test would be how the banana actually worked on my hair. Wrap your hair in plastic or put on a shower cap (I wouldn't recommend a good one, get a cheap cap at the discount store) over your banana conditioner and keep it on for about an hour, then rinse. No need for conditioner because the banana is your conditioner. You can take two bananas (discard skins) and mash them in a mixing bowl using a fork until they are kinda lumpy. Then mix a 1/2 cup of honey and beat with an electric mixer. Pour the mixture into a clean used shampoo bottle. Use a very small amount of the conditioner each time you condition your hair. Or this one. Peel a banana and add 1/4 cup of olive oil and one egg white and put in a blender. Puree for a couple of minutes. Then apply it to your hair. For me, not being a girl who has the patience or time for a lot of hoopla, I opted for the lone banana mixture my first time around ...and wow! Where have you been all my life?? My hair was soooo soft and looked fantastic! 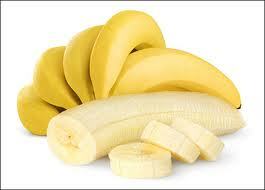 Now it is recommended that you treat your hair once a month with a banana, or for extremely dry hair, twice a month. You can bet I'm going to do it at least once a month with the results I got. Now happily, that bunch of bananas that usually just sat in the bowl on my kitchen counter begging for attention, will now have a special purpose! Chalk one up for survival hair conditioner! Just sayin'. 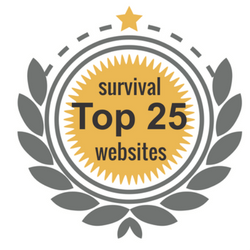 Thank you for sharing Survivor Jane with your friends! 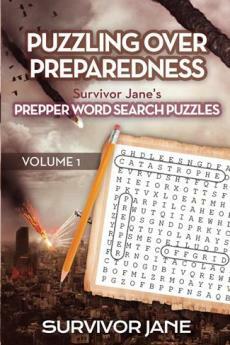 ​Follow Survivor Jane on Twitter @SurvivorJane creator of #PrepperTalk the Largest Prepper Community on Twitter!